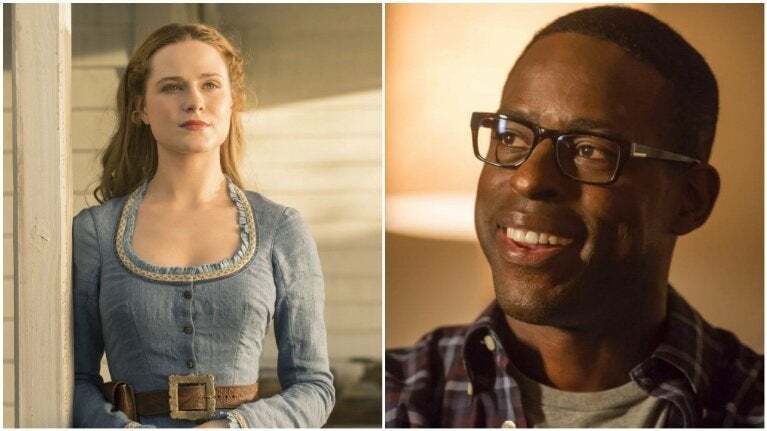 Westworld star Evan Rachel Wood and Black Panther star Sterling K. Brown are in talks to lend their voices to Walt Disney Animation Studios’ in-the-works Frozen 2, Variety revealed Friday. It is not yet known what roles the Emmy-nominated actors would fill. Brown and Wood are fresh off Emmy nominations in their respective Lead Actor and Actress categories for their roles on dramas This is Us and Westworld. Earlier this year, Brown joined the Marvel Cinematic Universe as Prince N’Jobu, father to Erik ‘Killmonger’ Stevens (Michael B. Jordan) and uncle to new Wakandan king T’Challa (Chadwick Boseman). Wood plays Host Dolores Abernathy in the hit HBO series. Wood and Brown would join returning Frozen stars Idina Menzel (ice queen Elsa), Kristen Bell (her sunny sister, Anna), and Josh Gad (huggable living snowman Olaf). Walt Disney Animation Studios’ big screen Frozen sequel will also see the return of directors Chris Buck and Jennifer Lee. The latter was recently tapped to oversee Walt Disney Animation Studios as chief creative officer following the ousting of John Lasseter. Frozen proved an unexpected behemoth after its winter 2013 release: the animated tale earned nearly $1.3 billion worldwide, making it the highest-grossing animated film in history and the 12th highest-grossing movie of all time. Frozen and its band of characters have since become a merchandising heavyweight and a mainstay of the Disney brand in the past half-decade. Ahead of the sequel debut, Elsa, Anna, Olaf and others have headlined multiple theatrical animated shorts, including 2015’s Frozen Fever and 2017’s Olaf’s Frozen Adventure. Video game players will next return to the icy world of Arendelle in Disney and Square Enix’s upcoming Kingdom Hearts 3, the first console installment of the famed video game franchise to release after Frozen emerged as a worldwide phenomenon. The game drops on Playstation 4 and Xbox One January 29. Anna and Elsa will make cameo appearances in Walt Disney Animation Studios' next release, Ralph Breaks the Internet, out November 21, before returning in full in Frozen 2, out November 27, 2019.